A deep-rooted negative perception among young people about the federal government as an employer. “A fundamental value system that focuses on motivating every worker by recognising his of her contribution to the success of the enterprise. Organisations that embrace this philosophy tailor their personnel systems- how they recruit, train, evaluate, compensate, reward, and promote people – to the individual worker and the specific type of job. The book provides some examples of these benefits in chapter 2 (an excellent chapter - just ignore its recommendations for the Huselid / Becker / Beatty scorecard, and Jack Phillips’ ROI process, and use the HCM value chain) and estimates that gaining the same benefits in the public sector would require an investment (“an investment in democracy”) of $10bn but that this would then produce a return of £300-600bn in productivity gains. Upskilling HR practitioners and bringing in new HR talent from the private sector (in part because ‘it is difficult to image something you’ve never seen’). I agree with most of the suggestions made within the book, many of which could easily apply to the UK as well. The only one that really gives me pause is a rather sweeping (and very costly) suggestion to increase the average pay of 7000 senior executives by about $35k each. Earlier on the book the authors suggest that civil service employees should be motivated by the public good rather than a paycheck and I’d suggest federal government tries to make more of this opportunity to engage its leaders before simply throwing money at them (an approach that the UK’s experience suggests doesn’t necessarily result in the desired service improvements). 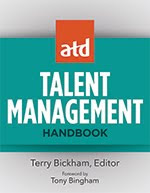 The book includes some nice examples of strategic HR - for example there’s a nice vignette explaining that the Federal Aviation Administration needs to “replace its entire workforce with highly skilled professionals – while at the same time safeguarding public safety and coping with increased air travel” which also describes how the FAA can meet this challenge by recruiting top-calibre candidates more quickly and investing in training (especially in state-of-the art, customised technology for simulating air traffic control) with all of this being supported by better mentoring, performance evaluation, feedback, supervision and a new ability to weed out poor performers early on. Plus there are longer case studies on the Defence Logistics Agency and the Government Accountability Office. 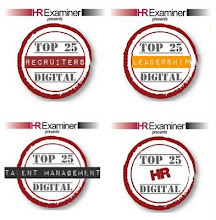 But I’m not sure any of this is necessarily anything that I would recognise as strategic HCM. Of course, not everything the federal government needs to do to improve the current situation does require HCM, but I think some of it will. So I think it’s a shame that the authors have chosen to focus on the ‘people factor’ (rather than on human capital), particularly because I think the definition of this, ie “motivating every worker by recognising his of her contribution”, is quite weak. The civil service contains a very broad range of organisations, and of functions. I’d have liked to have seen more emphasis on the need for each of these organisations to define for themselves the sort of human capital that they need, and then to ensure they take the specific actions that developing this particular capital requires. The book suggests that the complex environment in which the civil service operates requires federal workers to capture, manage and share knowledge quickly and effectively and that this requires new skills including agility, adaptability, creativity, flexibility, resourcefulness and speed of service. But this can’t apply equally to all 15 million employees! 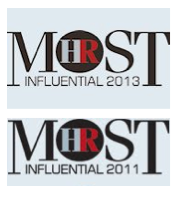 The book does note the need to reward and retain the best employees (the highest performers). But I think much more could be done to identify which employees are really most important, and to treat them in different ways (differentiating the workforce isn’t something I always recommend, but in a workforce of 15m, it’s got to be an important strategy). I think this sort of structure would be useful (I’m less convinced by the other proposal for an HR passport which sounds incredibly bureaucratic – and could therefore anchor rather than change the current civil service culture) but I think the breakdown probably needs to go much further than this. In overview, the book’s main recommendation that people are seen as the federal government’s main priority has got to be a good thing, and is certainly a welcome change in focus from my other Summer reading! 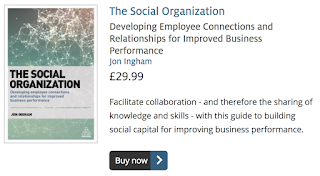 Regular readers will know that as well as creating value, one of the other ideas that underpin this blog is organisational capability, or just human capital. This concept is about generating competitive advantage and profitability through the intangible value provided by an organisation’s people. Using people not as resources but as sources of human capital to create value and profit. But this only happens by putting people first. By taking a human capital-centric view and developing this capital, knowing that the longer-term payback will be increased profit. So, I was intrigued to receive information on a new book that I’ve included in my holiday reading: ‘Profits aren’t the only thing, they’re everything’ by George Cloutier. The key idea of this book is pretty simply: small business owners need to focus obsessively, and exclusively, on profit, in order to stay in and grow their businesses. Now this isn’t my focus, but I’m not going to argue with the statement. I can quite see Alan Sugar on the Apprentice, or the BBC’s Dragons agreeing with the idea, and they’ve built up small businesses, not me. “I can’t get my people to do what I tell them to do – We hear this refrain over and over again from our clients”. It’s no surprise that Cloutier’s clients are getting this response if they’re taking his advice! Organisational capability really is more suited to more established and sizeable businesses (or public sector and voluntary organisations). But smaller businesses absolutely aren’t going to benefit from behaving in the way that Cloutier suggests either. I don’t think it’s about these things. But I do suggest fairness, respect and a bit of humanity. A good example of a more appropriate and intelligent approach in a smaller, or at least, fairly simple business is Timpson’s, which runs its business very successfully by putting employees and customers ahead of profits (thanks to MOK at the Innovation Beehive for link to this). Overall though, I did enjoy reading the book. A lot of the time, it reads like a sales brochure for the Cloutier’s consultancy, but them given his focus, it’s pretty clear why he’s written the book, so you’d be surprised it it didn’t. But I liked the very frequent stories and anecdotes. And I did note down a number of ideas relating to my own business (not dealing with companies who read this book and decide not to pay their vendors on time is one!). Also see: my post on Whole Foods and Conscious Capitalism on Social Advantage (“profits should not be pursued – they ensue from working towards a higher purpose”). 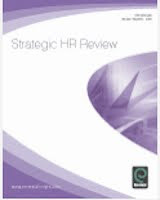 There’s a great case study of one of my clients, QBE Insurance, in this month’s Strategic HR Review. The case study describes the recent transformation of HR at QBE Insurance, focussing specifically on how the group HR team has engaged both the business and divisional HR teams across an international operation to enable this transformation. “The human capital model is still central to the 2009 plan, having been updated to reflect progress since 2004. However, a recent enhancement that created an air of excitement with the group executive team has been the inclusion of the HR ‘value triangle’. This model shows the three different ways in which HR can provide value to the business, increasing in impact from the bottom to the top of the triangle. Contact me if you want to create the same air of excitement in your business! Steve commented on my last post to say he assumed I was giving the blog site a 'nose job'. Mmm. Good idea – to share the pain if nothing else. One thing I have done, since I don’t think anyone is experiencing ‘operation aborted’ problems anymore?, is to re-incorporate the Google Friend Connect widget. So you now once again have the opportunity to follow this blog and join its community. You’ll find the widget half-way down the first of the two columns on the right – just above the widget for the Human Capital ning community, which you could join at the same time (the first community is linked to this blog, the second is simply a group of people interested in HCM, but not specifically my view about what this means). It’s funny how things change as time goes by. I never thought I’d use Twitter for example, but now am a quite active user – even if I tend to use it as an information source, rather than being a great tweeter myself. And I used to think I’d never do anything about my nose. It was only slightly off-centre after all. But then I didn’t know about research which suggests people find symmetrical faces more attractive (an evolutionary preference for healthy genes). This isn’t about attracting a mate you’ll understand – I’ve been happily married for nearly 15 years. But I do a lot of training and presentations these days. And whether it’s a one-on-one, or a session with a couple of thousand people that I’ve done a few times too, I want to present myself at my best – and to be perceived at my best as well. So I’ve just been in for a rhinoplasty operation. Apologies if I’m a bit snuffly if we talk at all by phone.